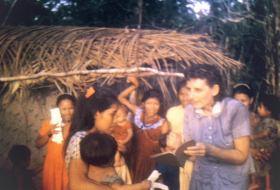 Who Will Reach the Guahibo People? They Themselves Will. 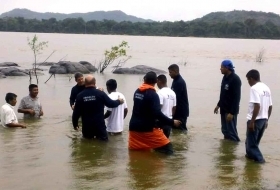 Finally someone is there that can speak the language and understands the cultural norms in order to share the gospel. 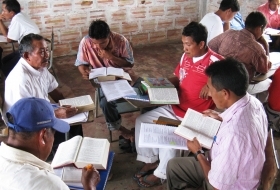 As the Guahibo believers understood the biblical concepts more clearly, they found more precise and correct ways to express them. 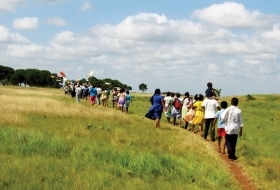 What’s a tribal church look like? Does it have a steeple? Or is it the people? 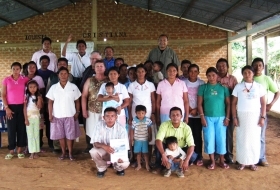 A Colombian church has given Guahibo missionary Virgil and his wife a boat and motor to help them reach Guahibos in a neighboring country. 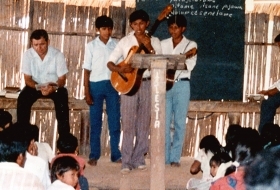 At the same time, other Guahibo missionaries are working in Colombia near the area where Virgil is working, and it appears that they may be able to help each other with their evangelistic outreaches and discipleship of believers. Praise God, who is building His church. 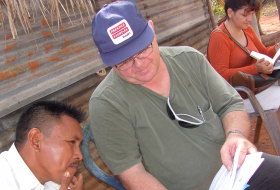 At the request of the Guahibo church, Mark Cain is working on revising the Guahibo New Testament, and soon will be involved in training Guahibo translators and helping them. “We would like to finish this project in five years or less,” wrote Mark and his wife, Joyce. Pray that this can be accomplished.